Coconut oil is all the rage right now, with consumption up 40% year on year since 2010. But is it a passing fad, or are the health benefits so great we should be shovelling it into the dog as well as ourselves? The answer is yes, and no. Like most food supplements you get what you pay for and there’s no point diligently putting cheap coconut oil on to your dog’s dinner every day because you won’t get the benefit. Better to spend more and get way more bang for your buck. .... Here’s why. Coconut oil is actually coconut fat. It is commonly referred to as oil because it originates from hot, tropical countries where it can stay liquid at room temperature. The key fat is Lauric acid which, along with it’s siblings; Caprylic, Decanoic, Myristic, Palmitic and Oleic acids, forms a group of good fats known as medium chain triglycerides (MCTs,) and these are why coconut oil is classed as a superfood. Lauric acid is the superstar MCT though as you will only find this fatty acid in such quantities in coconuts or breast milk, and believe me coconut oil is way easier to find in the shops! As such Lauric acid is sort after in it’s own right (think Beyonce after Destiny’s Child) separated from coconut oil in the processing to be used in medicine. Lauric acid is used to treat viral infections, swine and avian flu and herpes. It is also used for preventing the transmission of HIV from mothers to children. It’s a thoroughly good thing. So why haven’t we always eaten it? Well, like everyone else in the West we avoided saturated fats for years, now we are simply playing catch up with India and South East Asia who have been growing and consuming coconut for millennia. OK, coconut oil is a very good source of energy. It has well documented antibacterial, antiviral and anti-fungal properties too. However, there are so many uses I’ve broken it down into external and internal uses. How much coconut oil should I feed my dog? Start gradually at ¼ tsp per day and build up. Work up to 1tsp per 10kg of body weight up to a maximum of 3tsp per day. Then go by what works for your dog. If you discover oily stools then reduce the amount fed. If your dog is overweight reduce the amount by half. Then see how it goes for a couple of weeks and adjust accordingly. Now you know the health benefits of giving coconut oil to your dog the big question is – which type of coconut oil should I buy or, put another way, why should I spend a tenner on a jar when I can get one for two quid? Well…..
Coconut oil is produced in two main ways; either from copra (see below) and refined, or by extracting it from coconut meat without refining. Copra is dried coconut meat sold in bulk around the world and eaten in one form or another by millions. It is produced by splitting coconuts in half and allowing them to dry out; by smoking, under the sun, or dried in a kiln. This dried coconut meat is pretty inedible and needs refining to make your run of the mill coconut oil. Oil which is simply labelled ‘coconut oil’ is made from copra and likely to be mass produced into what is known as RBD oil; refined, bleached and deodorised. Before you go into a flat spin, the ‘bleaching’ is more of a filtering process to remove impurities, and the deodorising is done with steam. However, solvents such as hexane are sometimes used and it’s unclear whether hexane residues remain after processing. The end result is a bland oil that still has all it’s important fatty acids intact. This refining process does, however, strip out some of the nutrients which cold pressed, virgin oils test higher for. In our cooler climate, coconut oil (which is actually mostly fat) stays solid at room temperature. It also has quite a low smoke point, so now we have ‘liquid’ coconut oil, which stays liquid even in the fridge. Great, eh? Well, no actually, liquid coconut oil has had the lauric acid removed from it and is the by-product left behind. 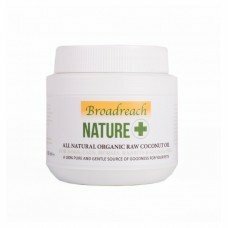 We want the lauric acid, it’s the good bit which makes coconut oil a superfood. So fine if you want something with a high smoke point for cooking with but it doesn’t have the significant health benefits of it’s ‘solid at room temperature’ sibling. By far the best for nutrition, health benefits, and taste, virgin coconut oil is made by pushing dried coconut meat through a machine known as an expeller. This separates the oil from the meat. What’s left is then sent off for further processing such as desiccation, milling etc. Another way to make virgin coconut oil is by wet-milling where the fresh coconut milk is extracted from wet coconut meat. The oil is separated from the coconut water by fermentation. Either way, you’re looking for virgin coconut oil. If you see extra virgin the phrase is meaningless, it’s no better than ‘virgin’. I mean, how is it possible to be ‘more’ virgin? You either are or you aren’t! Complementary Food For Dogs For Dogs, Cat..
1. Look for cold pressed, virgin coconut oil. 3. Don’t bother with ‘liquid’ coconut oil. It’s had the very thing which makes it ‘super’ removed. 4. Don’t worry about buying organic, coconuts grow 60ft off the ground, no one gets sprayed at that height! 5. Don’t bother with labels that state their oil is made using non-GM coconuts – all coconuts are non-GM, it’s a marketing ploy. Heat the oven to 175C, 350F or gas 4. 1. Mix together the peanut butter, honey, coconut oil and chicken broth. In a separate bowl, combine the rolled oats and coconut flour. 2. Tip the dry ingredients into the wet ingredients. Mix together well until you have a dough you can roll out. If the mix is too dry add a little water or leftover stock. If it’s too wet add a little more flour. 3. On a floured surface roll the dough out to about ¼ inch thick. Use a small cutter to cut out the biscuits, whichever size is right for your dog. 4. Transfer the biscuits to a lined baking sheet and bake for 15 minutes or until done. 5. Leave to cool for a minute then transfer on to a cooling rack. These will keep in an airtight container for up to a week. Or you can freeze them.